During the Subdudes’ long stint in Colorado, the group has enjoyed favored status as a magical, marvelous musical treasure. The critically acclaimed band’s rich, soulful harmonies, insightful lyrics and rootsy grooves kicked off the Americana genre before the term became clichéd, winning over listeners across the country. Frontman Tommy Malone, bassist Johnny Ray Allen and percussionist Steve Amadee grew up together in Edgard, Louisiana. They formed their first band in high school, inspired by Malone’s older brother, guitarist Dave Malone of the legendary Radiators. The four friends performed in various combinations with other local musicians for several years. They had a lot of strange names and played a lot of strange dives. But as players came and went, frustration grew. ”New Orleans is a place where the music is pouring out of every crack, with lots of bands in different styles,” Magnie explained. ”But there is very little business opportunity. Bands will get a repertoire together and get hot, and nobody will help them get to the next step and they fade away. One spontaneous evening in April 1987 the Subdudes were born. Magnie was playing piano at Tipitina’s bar in the Crescent City, and the three other musicians came down and started jamming. Amadee, a drummer who liked to travel light, used a tambourine—“It was ripped off from my landlady”—and the scaled-down acoustic sound worked. They wound up playing every Monday night. Later that year, the Subdudes, unable to make a living at music in New Orleans, decided to relocate with their families, en masse, to Fort Collins, Colorado, where it was quiet and inexpensive. Magnie scouted out some gigs, and the members quit their day jobs and refined the Subdudes’ sound. The chance paid off. The Subdudes’ reputation spread throughout the state almost immediately, as they were being booked three and four nights a week. They became a fixture at Herman’s Hideaway on South Broadway in Denver, where a loyal following continuously packed the place. Anyone who ever saw the quartet live likely will always remember them, mostly for the way Amadee worked the tambourine as if it were a full drum kit. His percussion and Magnie’s wheezing accordion began imbuing Malone and Allen’s concise three- or four-minute songs with the ethnic R&B associated with the varied styles of the New Orleans region. Their funky, danceable performances garnered rave reviews from the local media. The band soon attracted the attention of entertainment attorney Ed Pierson and manager Patrick Cullie, and a demo of the song “On His Mind” won Musician magazine’s Best Unsigned Band contest. It sounded like a timeless classic, something Ben E. King might have considered recording in his heyday. By the fall of 1988, the Subdudes had acquired a recording deal with Atlantic Records. The label signed the foursome in an official ceremony in Governor Roy Romer’s office. The Subdudes didn’t light up the charts—it sold nearly 30,000 copies—but the national music community loved the band’s mastery of American music styles. They had good word-of-mouth from peers. Bonnie Raitt, Linda Ronstadt, Huey Lewis, John Hiatt and especially Bruce Hornsby were zealous fans. The band also built a reputation for session work, accompanying Shawn Colvin, Roseanne Cash, Joni Mitchell and others, and toured frequently. But by 1997, the rigors of the road and the burden of being a unique band had taken a toll. The members decided to call it quits in November 1996. Spinoff projects ensued—Tiny Town, 3 Twins, the Dudes. Sans Allen, the Subdudes reformed in 2003, adding Tim Cook (vocals, bass percussion) and Jimmy Messa (bass, guitar) to the mix. 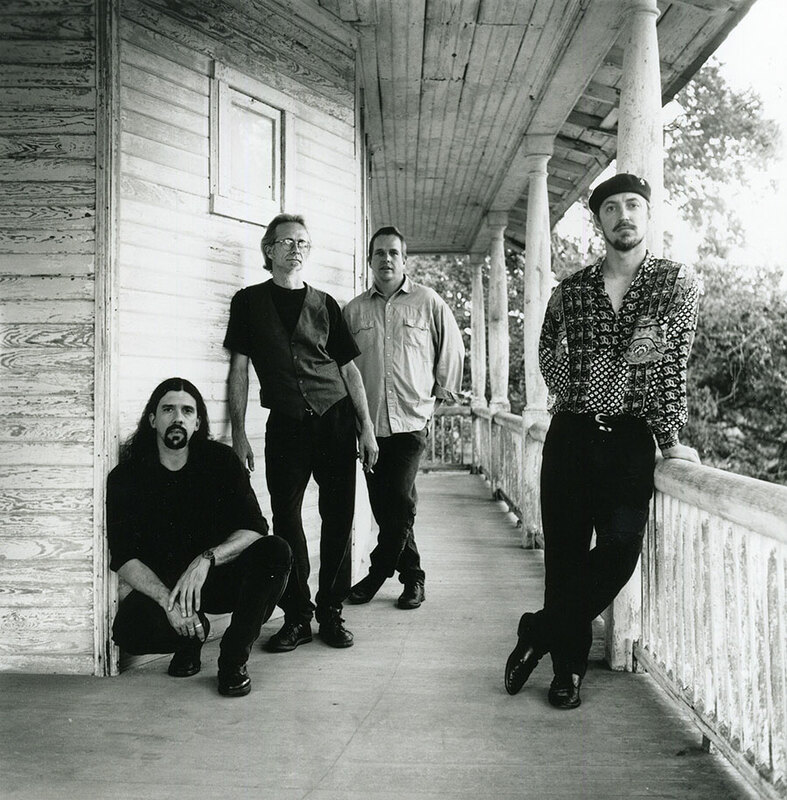 The band secured a recording contract and released Miracle Mule in April 2004. Keb’ Mo’ produced the 2006 effort, Behind The Levee. Street Symphony (2007) and Flower Petals (2009) followed. The four original members reunited for several concerts in 2014 before Allen passed away in August. “I’m proudest of us getting back together,” Magnie said. “We had a lot of animosity towards each other, and we all felt like we’d never play with those other blankety-blanks again! It took us over six years away from each other to realize that we do better when we unite our forces, that we’re going to be playing music anyway. It’s a second chance.